Ryan Vena stuffs his backpack with sandwiches, an oxygen tank, harm-reduction supplies and Naloxone. Thirty pounds of gear strapped to his back ready for a night’s work. Vena leads the Street Saviours, a group of 20 volunteers who patrol the Downtown Eastside three nights a week. Wearing high-visibility vests, the teams hand out basic supplies and respond to opioid overdoses. Last year, they responded to 56 overdoses. 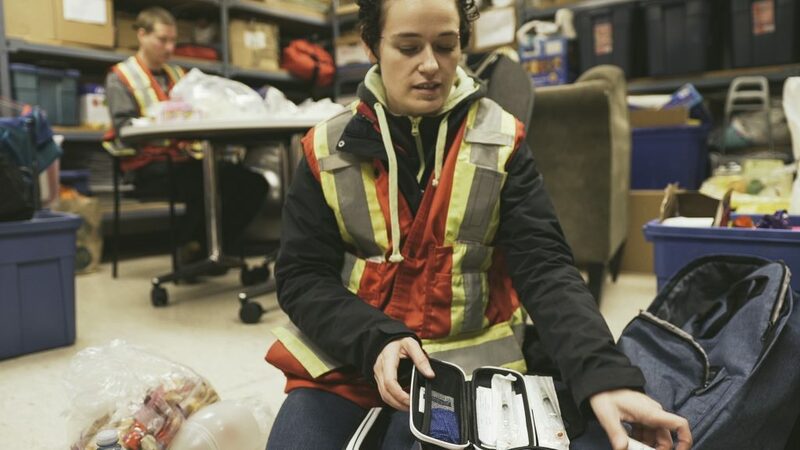 Vena monitors blood oxygen levels in a Downtown Eastside visitor during the first stages of a fentanyl overdose. Recent statistics from the Coroners Service of British Columbia indicate the number of fatal overdoses remains high in 2018, especially deaths attributed to fentanyl. In January, 125 people died from overdose in B.C., 37 of which were documented by the Vancouver Coastal Health Authority. Provincial health officer Perry Kendall had declared a public health emergency in April 2016. Vena and his team see themselves as people filling a void in nighttime services. Many volunteers have also been drug users or are in recovery. As a result, they connect to the people they are trying to help. They also know the nooks and crannies of the Downtown Eastside and look for people overdosing in areas where they may go unnoticed. Todd Littleton lives in the centre of the crisis and appreciates the work Vena and his team do. Littleton also sees the need for more street-level outreach, especially at night, to help cope with the devastating effects of fentanyl. 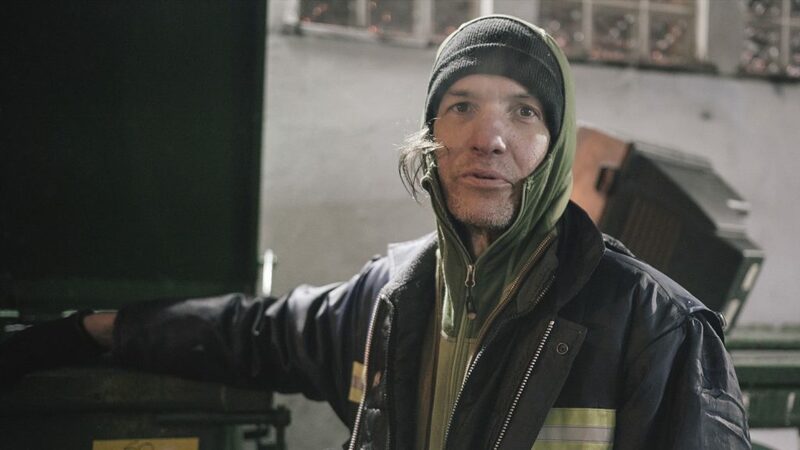 Todd Littleton at work binning in the Downtown Eastside. The Street Saviours group is one of many social services available. But they are one of the few services operating as late as 3 a.m.
Vena knows what being an addict is like. He was an addict who lived on the streets of the Downtown Eastside, and saw the need for no-barrier outreach services. Vena co-founded Street Saviours in December 2016 after attending a town-hall meeting about Vancouver’s response to the opioid crisis. He quickly became trained to teach Naloxone administration and recently completed an emergency medical responder course. Now his medical training is one level below paramedic. Street Saviour volunteer Kaitlen Burnet packs a Naloxone kit and sandwiches before a Wednesday-night patrol. Nic Hume works as a paramedic and sees the value in civilian groups like Street Saviours. Seconds matter when permanent brain damage can begin as quickly as six minutes without oxygen. Although paramedics bring expert medical assistance to overdose situations, Hume admits it can be challenging to connect with the people he is trying to assist. B.C. paramedics and dispatchers responded to 21,758 overdose calls in 2017. But it’s not enough to administer oxygen and Naloxone. The root causes of addiction also need to be addressed, says Ann Livingston, co-founder of Vancouver Area Network of Drug Users. Livingston says the complexity of the welfare system, the medical services plan, mental-health access and stigma surrounding drug use are systemic and societal issues that make the problem so challenging. She thinks harm-reduction services should also connect street folk to social services, something that the Street Saviours do. Vena is trying to connect street folks with housing and addictions support services. Funding for his group is limited and comes from friends, family, donations and his personal income as a painter. But he still hopes to open a storefront and make his low-barrier outreach model even more accessible.